I recently had opportunity to read two current research articles (both from 2011), published on the National Institute of Health website (see below). Both articles specifically explored research conducted on individuals with the diagnosis of alcohol abuse or dependence. The Kelly et al. article (based on findings gathered by Harvard Medical School and the Center for Addiction Medicine at Massachusetts General Hospital) found that attendance at Alcoholics Anonymous meetings increases spiritual practices, and of even more importance: spirituality is highly correlated with enhanced recovery from alcohol addiction. Not only does A.A. meeting attendance increase spirituality (hence, successful recovery), but it also aids the movement toward sobriety by aiding recovering alcoholics in creating new, healthier social support systems; increasing their skills in coping, e.g., with triggers; providing increased incentive for continuing sobriety (social group norms); and decreasing depressed mood, while enhancing the sense of psychological wellness. The authors even suggest that the increased utilization of spiritual resources at the root of active A.A. participation is likely to lead to changes all the way down to the neurobiological level. (Here I would refer the interested reader to the recent work of interpersonal neurobiologists; Daniel Siegel from UCLA in particular, e.g., The Mindful Brain). The Robinson et al. article was spearheaded from the University of Michigan Addiction Research Center and is highly complementary to the previously discussed research (by Kelly et al.). Specifically, Robinson et al. found statistically significant changes (at six months), across a varied group of alcoholics, in regards to their spirituality; the latter of which predicted favorable outcomes with abstaining from drinking alcohol. Their research discovered that, independent of A.A. involvement, positive changes in spiritual values and practices serve as strong predictors of successful sobriety. Two variables were seen as the strongest predictors: increases in both personal, private spiritual practices (e.g., meditation and prayer) and self-forgiveness. This latter finding — regarding the role of forgiveness in recovery from addiction — reminds me of how, in the Buddhist recovery movement (http://www.buddhistrecovery.org/) there is actually a time-proven approach to mindfulness meditation which operates under the title of “Forgiveness Practice.” Here there is an active integration of the forgiveness of self (for wrongs done, amends to be made) directly at the heart of the meditation practice. 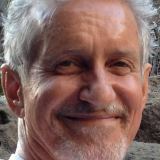 In summary, it is clear from both of these currently published research studies that spirituality is at least one significant mechanism of change and transformation in the life of the recovering addict; something which the 12-Step program has been encouraging for the past near-century of its mission and outreach.